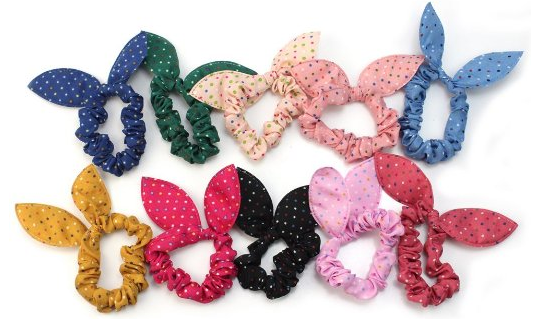 10 Piece Rabbit Ear Hair Ties Only $2.01 + FREE Shipping! You are here: Home / Great Deals / Amazon Deals / 10 Piece Rabbit Ear Hair Ties Only $2.01 + FREE Shipping! Check out this fantastic deal on hair ties – right now, you can get this 10 Piece Rabbit Ear Hair Ties Set for just $2.01 + FREE shipping! That’s just $0.20 a piece! This is a great way to keep your hair pulled back and is probably the best price I’ve seen!